“I had to give up work a few years ago to take care of my paralysed father. Though it was difficult, I managed to take care of my family with earnings from some land we owned. Last February, my son Maiken was diagnosed with a deadly blood disorder. I had to sell all my land for his treatment. 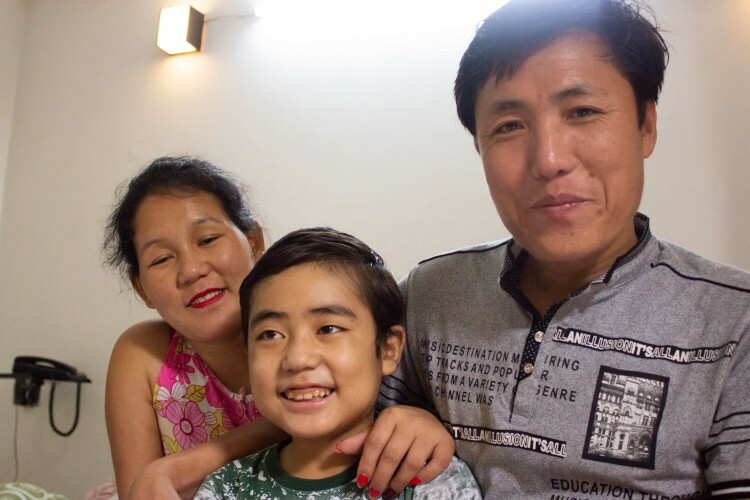 Now, my heavily pregnant wife and I have brought him all the way from Arunachal to Delhi to save him, with diminishing hopes and bank balance.”-Vijay Garam, father of 10-year-old Maiken. 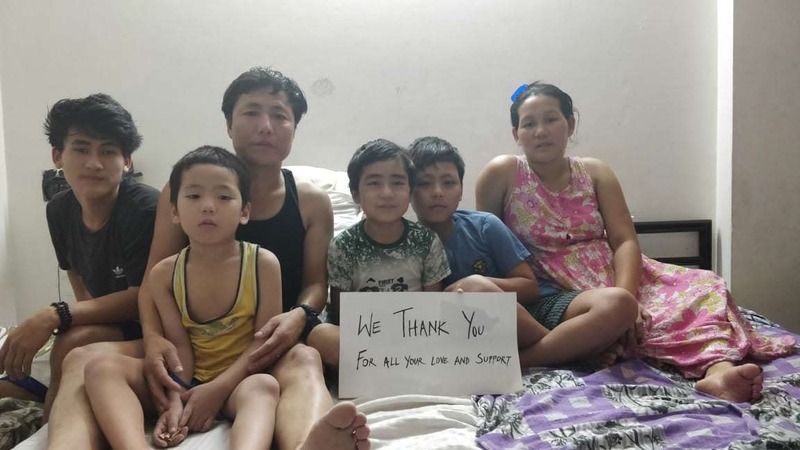 As Maiken belongs to a remote village on the India-China border in Arunachal Pradesh, he had been attending school in a boarding in the city. He had just returned from classes one day when his nose and gums started bleeding profusely. 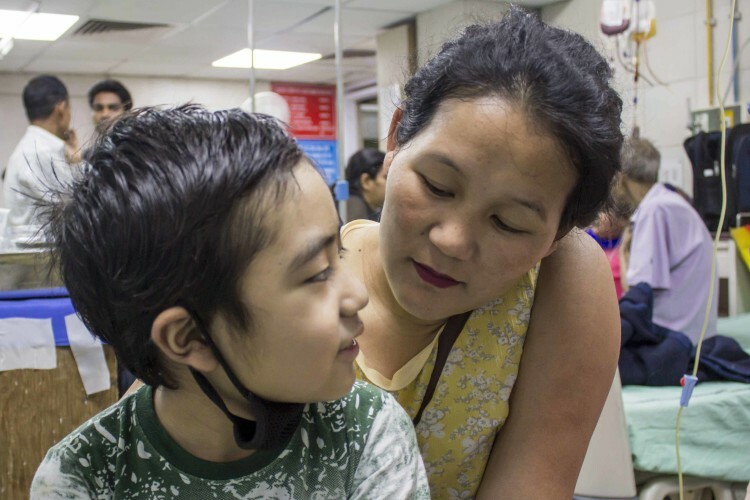 Nothing could stop the flow and his parents were intimated about his condition immediately. “When we reached him, he was also bleeding from his eyes! It was a horrendous sight for a mother. He was fainting at regular intervals and no medicines (which the local doctors had prescribed) were helping him. I always used to be proud of the fact that all my four children (Maiken, his two brothers and youngest sister) were born healthy. 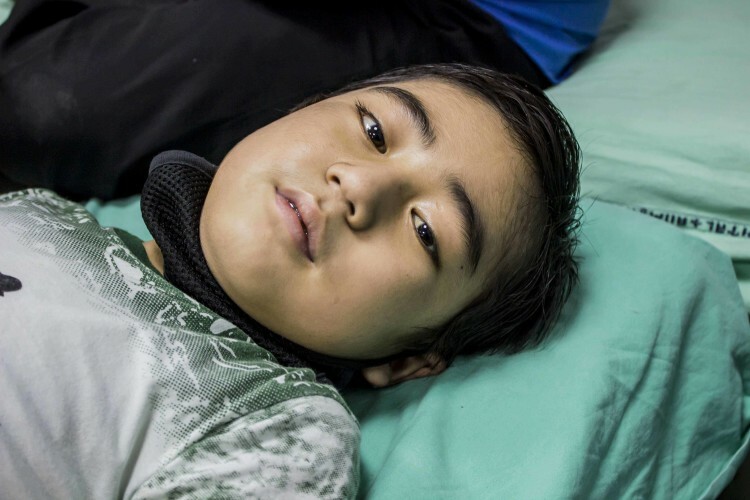 Suddenly a seemingly healthy boy became so sick…it was impossible for me to understand how this could happen.”-Yaniak Garam, mother. “Nobody had any idea what was going on. My son was getting sicker by the minute…he had already lost a lot of blood. 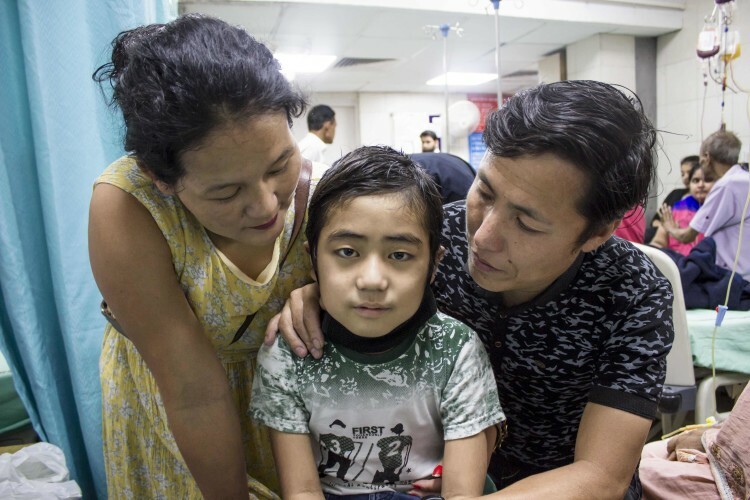 He was getting transfusions, but the doctors in Itanagar were not able to pinpoint a specific disease. We were also going crazy in the middle. My wife was very stressed and at one point even lost consciousness. We took him to Shillong in the hopes of getting his disease diagnosed.”-Vijay. 10-year-old Maiken was found to have a rare and deadly blood disorder where the body loses its capability to produce new blood cells. 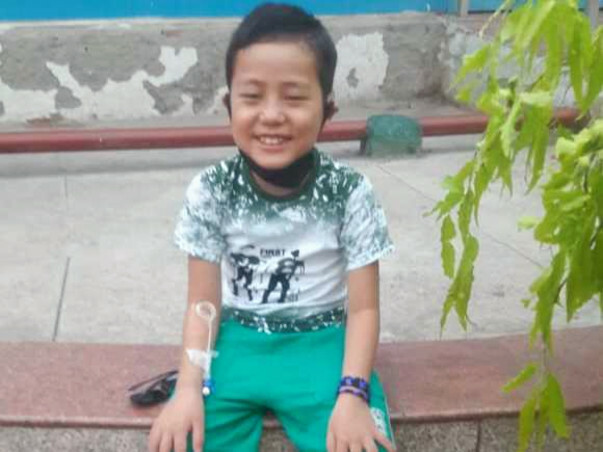 His bone marrow has abnormally low amounts of blood cells than it should normally have. “Maiken had to undergo an immediate blood transfusion because his body was producing no blood at all! 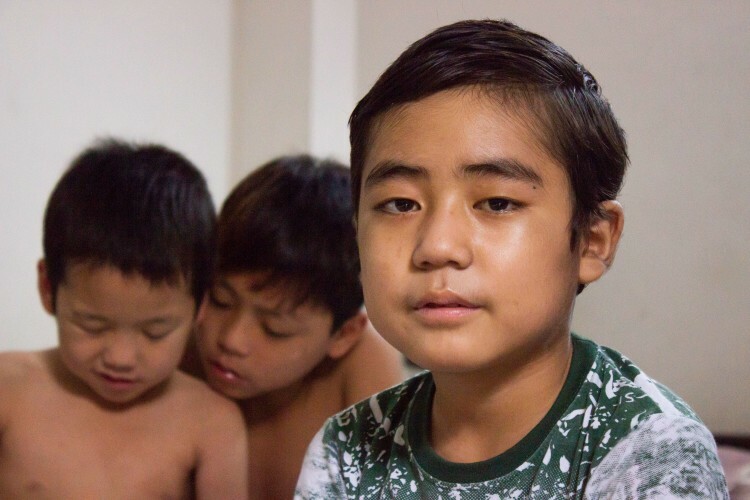 We couldn’t understand his disorder for a long time because we hadn’t heard of it before. But my child was never scared of the needles – not even during his first transfusion. When we told him that it was the only way he could survive now, he smiled at us. He’s always been brave."-Yaniak. Maiken’s bleeding had become very regular and more prolonged; in addition to it, he even started getting red bruises all over his body. Doctors suggested that the family go to Delhi for better hospital facilities. Despite being really short on cash, Vijay wanted to make sure that his son got the best treatment possible. “I had spent quite a lot of money in Shillong. I was so broke that I had to sell my ancestral land at lower rates. My wife was also not in a condition to travel because of her pregnancy, but we had no other way. Maiken was getting sicker and there was no other way in front of us- so we decided to go to a strange city in the hopes of saving our boy.”-Vijay. If Maiken does not undergo these transfusions, or even if there is a slight delay, he can die. Blood transfusions are not a permanent solution to his deadly condition. They can cause iron deposits in his soft organs that may be fatal in itself or may rise to more severe diseases. Only a bone marrow transplant can save him – but it costs more than what his father can afford. “Till now, I have spent around 14 lakhs for his treatment. Being unemployed, that is a very huge amount. We have no choice now but to wait for some help from relatives and friends – but they have also helped as much they could. Maiken cannot continue surviving on blood transfusions. We know that well, even he knows that well. But he is not letting negative thoughts come in the way of enjoying with his siblings. This is the first time all the children are getting to be together (as they all study in boarding schools). Leave it to children to turn a negative occasion into something beautiful.”-Vijay tears up. Vijay and his family have rented out a room next to the hospital in Delhi. Vijay has to pay for everything – from food to medicines – out of his own pocket. 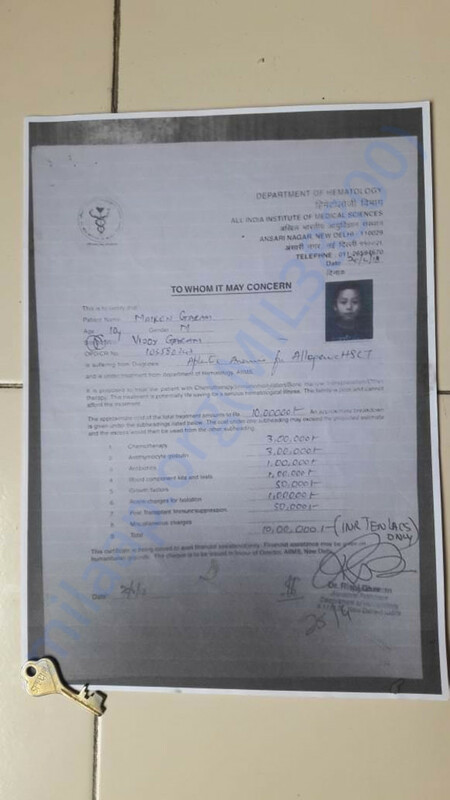 On one hand, his heavily pregnant wife may give birth any time from now and on the other, he is running out on time and money to save his son. 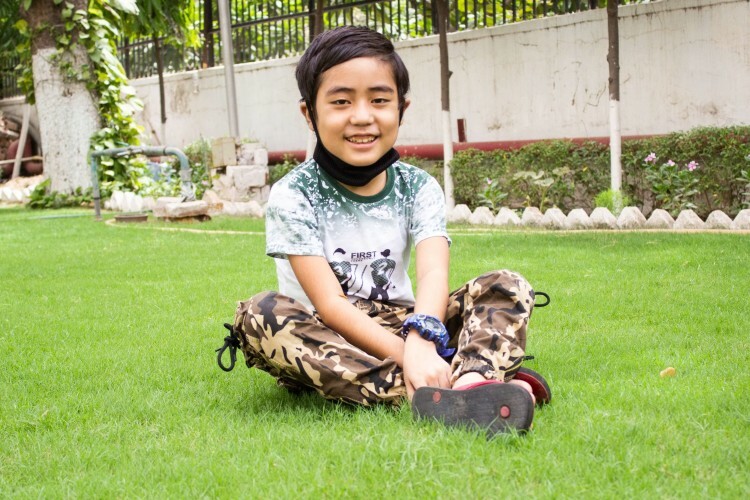 Vijay needs help to fund 10-year-old Maiken’s bone marrow transplant because there is no other fix for his non-stop bleeding and fatigue. The family is struggling to live in a strange city, but they are fighting the odds for Maiken. Thank you for the support shown so far.The amount will be directly transferred to the Parent account as Maiken is now admitted to the hospital and time to time volunteers are donating SDP. finally after almost 4 months of struggle his transplant date is fixed, which is schedule on the last week of september. Also, in this hard course of time, the family is blessed with a daughter in Delhi itself. All this was possible with the immense support of you. thank you for being a part of it. Thank you everyone for supporting maiken in this fight. We have informed their family about the donation collected, the family was overwhelmed with the response you have given to their story. The donation will directly go to the hospital for his treatment. Even if we couldn't reach the goal we set up. But with the amount that we collected we can lessen their burden. To all the wonderful souls out there, who have taken a time out of their busy schedule, read the story of this kid, and have donated with whatever they can, we are way too thankful for your kindness. May you be blessed abundantly.